When most people hear the term Termite, they tend to think in terms of termite problems caused by the insect. However, most of them are unaware of what exactly termites are, the different types of termites and the types of damage they can cause. As a result, they are unable to apply appropriate termite treatments. Before you seek help from a termite treatment specialist, it’s vital to know about termites and their different types. Gathering information and facts will help you figure out the appropriate termite control plan. Termites are colonizing wood eating insects that are known to live across the globe in some form or another. They have the capability to completely destroy the framework of a house as they feed on wood. If the termite treatment is not given consideration, your home can be substantially damaged. These termites are often addressed as the super termites as they are the most destructive and aggressive termite species. Their colony can be almost 300 feet long and include 10,000 members easily. These termites are capable of completely destroying a house in months as they can easily eat one pound of wood every day. 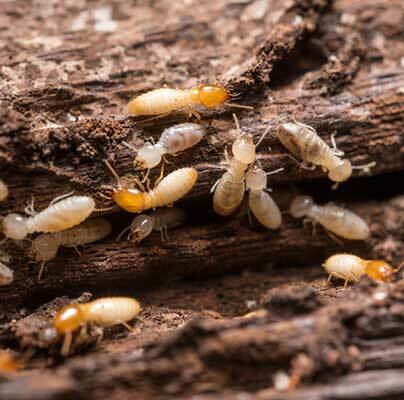 As the name implies, drywood termites are known to feed on any type of dry wood, and they do not need any moisture. Their infestation can occur on anything starting from wooden recliners to bookshelves and even hardwood floors. In addition, they can also consume plastic, wallpaper, and fabric made from plants. Their colony can have 2500 members. These termites can cause the maximum damage as their colony can have almost two million members. Subterranean are also feed on wood, plastic, fabric and wallpaper. The most significant feature of subterranean termites is that they can easily live without being in contact with soil and moisture.